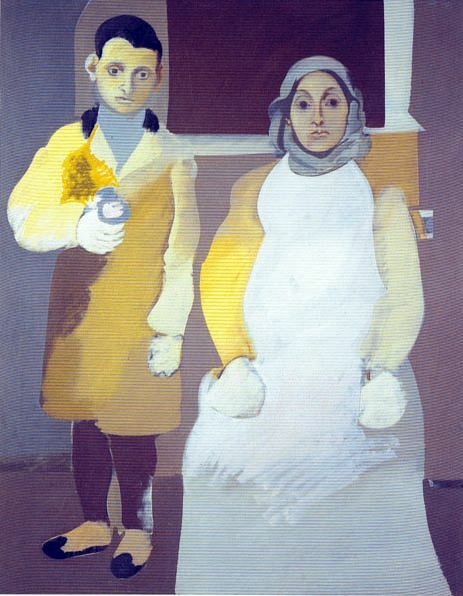 Arshile Gorky’s given name was Vosdanik Adoian. He and his family were originally from Van, in historic Armenia. 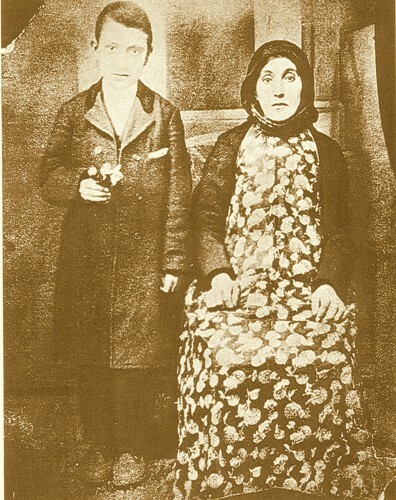 They fled their beloved homeland during the Armenian Genocide, living briefly in Yerevan (where Gorky’s mother tragically died from starvation in his arms). During one of my research visits to Ellis Island, historian Barry Moreno recommended that I read, The Many Worlds of Arshile Gorky, a biography written by the world-renowned artist’s nephew, Karlen Mooradian. The book is in the Ellis Island Bob Hope Memorial Library collection. It includes an interview with Vartoosh Adoian Mooradian, Gorky’s sister and the author’s mother, as well as interviews with several of Gorky’s contemporaries. The book describes historic Van, which influenced and inspired Gorky’s work, and it depicts the Yerevan of nearly a century ago. In The Many Worlds of Arshile Gorky, Vartoosh details the family’s odyssey from the shores of Lake Van (including their deportation march) to the shores beyond Ellis Island (living in New England and Manhattan). Vartoosh’s interview provides insights into Armenian immigrant life and struggles during, and beyond, the Great Depression. Did you know Gorky was fired from Hood Rubber Company in Watertown, Massachusetts, for drawing on the frames that held sneaker tops? The Hood Rubber Company employed many Armenian immigrants who fled Turkey and came to America.